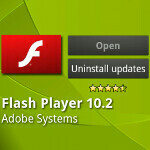 An update for Adobe Flash Player 10.2 in the Android Market gives Android tablet users something to look forward to in the future. 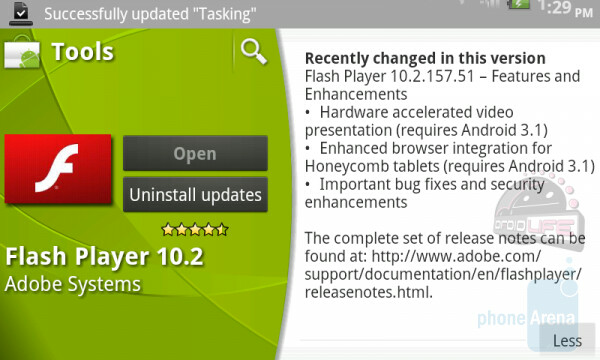 According to the small changelog for the update, the software upgrade included 'hardware accelerated video' presentation for devices running the so far unannounced Android 3.1. The download will not yet work on any current Android tablet. For example, the Motorola XOOM currently runs Android 3.0.1 and Adobe made it clear in their blog that this accelerated video enhancement will only work once the newer 3.1 build of Google's open source OS is installed. The enhancement is expected to improve 720p HD video playback on Honeycomb flavored tablets that are eventually upgraded to Android 3.1. We should hear about that Android OS build sometime during the Google I/O conference being held in San Francisco May 10th and 11th.